If Egypt's Mubarak is forced from power, he will have a fortune in foreign investments to fall back on, analysts say. As Egyptian President Hosni Mubarak faces attempts to oust him from power, he can rest assured in the knowledge that his vast fortune in foreign investments remains safe, analysts have declared. Experts told the Guardian that Mubarak's family wealth is estimated at $70 billion. A French expert speaking to France 24 gave a lower estimate, saying Mubarak's wealth was “at least one or two zeros” less than suggested – meaning Mubarak may have “only” several hundreds of millions of dollars. In any case, the 82-year-old leader is expected to enjoy a luxurious retirement. His wealth is thought to be held largely in foreign bank accounts, and in properties in Europe and America. The Arabic paper Al-Khabar has previously reported that Mubarak owns properties in Manhattan and on Rodeo Drive in Beverly Hills, California; he is believed to own buildings in London as well. Mubarak has served as president for 30 years, and prior to that was a senior figure in the Egyptian military. His status allowed him to take advantage of an Egyptian law that requires foreign business owners to give a local business partner at least 20% control. Politicians and military figures are in a position to serve as sponsors to foreign businesses, gaining money with little risk. 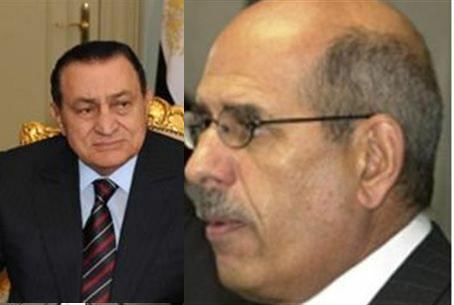 Some have compared Mubarak to ousted Tunisian president Zine El-Abidine Ben Ali, who gained extreme wealth during his decades-long rule. Ben Ali has fled his country and is now living in Saudi Arabia. Ben Ali's lifestyle and notorious corruption were factors in creating the rage that led to his downfall. Months before the ouster, a document published on Wikileaks revealed that former United States Ambassador Robert Godec had discussed Ben Ali's wealth and public sentiment. “President Ben Ali's extended family is often cited as the nexus of Tunisian corruption,” Godec told his superiors in Washington.